Firesaw: Why Are Millions of Spiders Invading Thousands of Trees and Why Is It Good News? 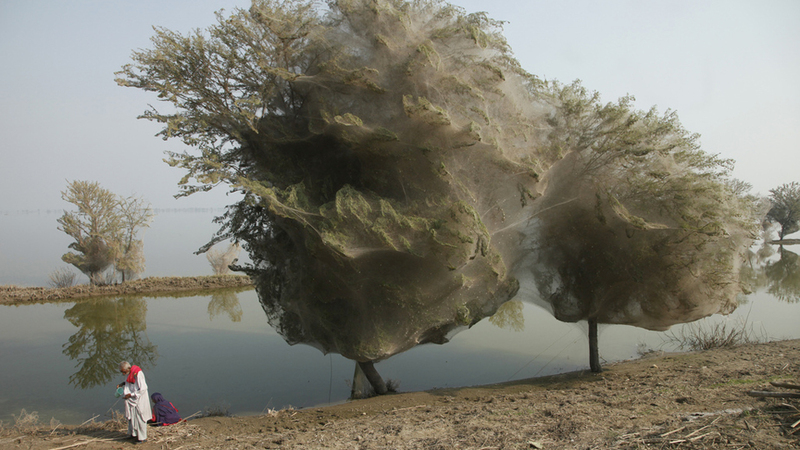 These huge trees are fully covered with thousands of spiderwebs, something never before seen in Sindh, Pakistan, where this photo was taken. Yes, it's a eewrifying image, but it has had a surprisingly positive effect on the population of this heavily punished part of the world. "eewrifying" gets a thumbs up from me.